Gunnar Nels0n is the real deal. He is an authentic part of the Hollywood and music dynasty who shares an incredible entertainment legacy spanning three generations. 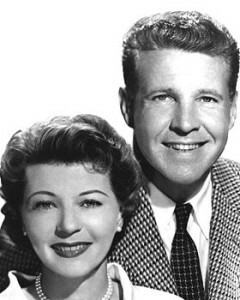 His grandfather, Ozzie Nelson, was a bandleader, radio and television pioneer, producer, director writer, and editor. He and his wife, Harriet Nelson, had the top-rated television prime-time television series for years — The Adventures of Ozzie & Harriet. 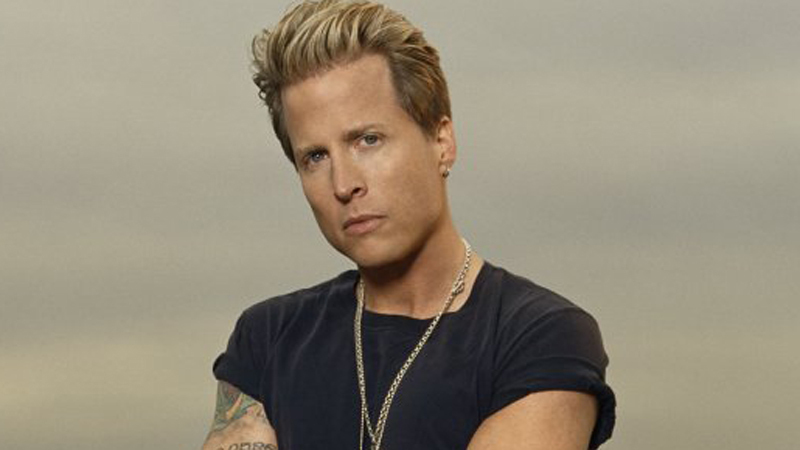 Gunnar’s father was Ricky Nelson, actor, teen idol, musician, singer/songwriter, who, in the truest meaning possible, lived and died for his music and rock and roll. Gunnar is one half of the group NELSON — the other half, his identical twin brother Matthew. Their debut album, After the Rain, lasted 64 weeks on Billboard’s charts in 1990 and was certified double platinum by the RIAA. Both he and Matt are musicians, singers, and songwriters. 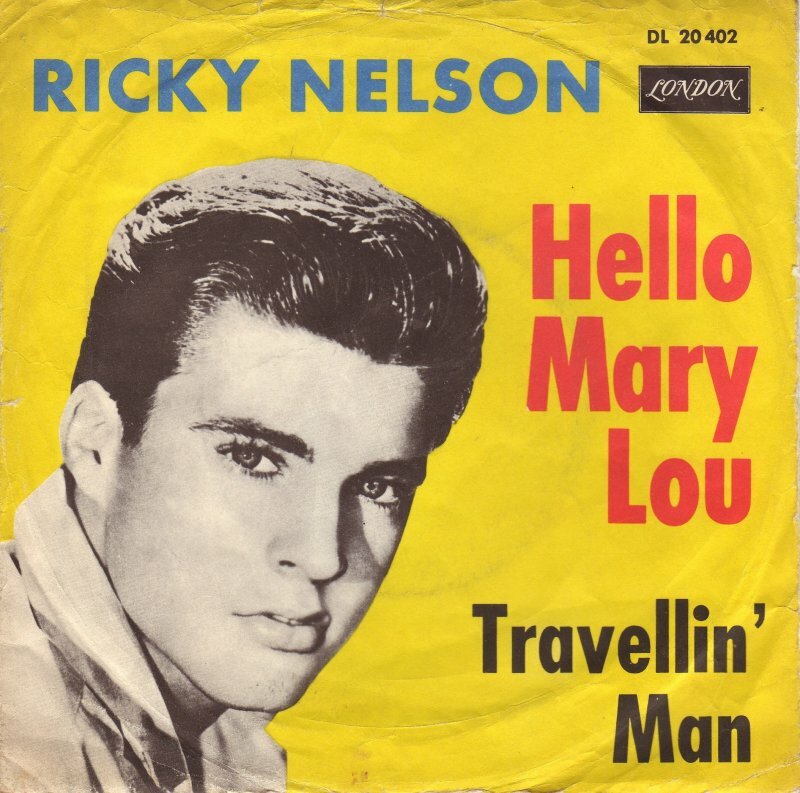 Pillow Talking caught up with Gunnar as he was preparing with Matt for the tribute show to their father — “Ricky Nelson Remembered.” In a totally frank, intellectual, and highly interview, Gunnar discusses his famous family, acting, the music business, and life in general. PT: Thank you so much for granting us this interview. We are big fans of you and your brother and father. (Wayne) Although I was born in the late fifties, I was a throwback to the fifties music. So while other kids were listening to the Beatles and the British Invasion, I was listening to Elvis, your father, Bobby Rydell, etc. I also remember The Adventures of Ozzie & Harriet. I still watch the classic western Rio Bravo in which your father was one of the stars along with John Wayne and Dean Martin. So I’m a big Nelson family fan. When we heard you were going to be in concert at the Ridgefield Playhouse, I said to my wife we have to interview you for Pillow Talking and see you perform. GN: Thank you. Is this the first time with you guys seeing us at the show? PT: Yes. We’ve seen you on TV and your music videos, but this will be the first time that we will see you live. GN: Well, that’s fantastic. I think you’re going to love the show. 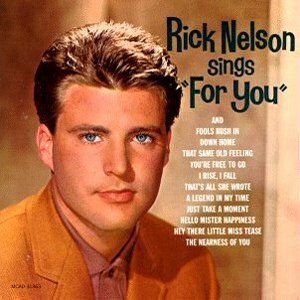 PT: This show is a tribute to your father, Rick Nelson. How did it all start? GN: This is one of those things that we started doing – I wouldn’t say as a goof, but we never thought we’d be doing as long as we have been. What is lovely is the number of people we’ve met in the last 15 years of doing this show that all come up to us – of course there are a lot of people that grew up with the Ozzie & Harriet show and watching my father perform, but we’ve met some real luminaries that actually confessed that they started playing in the first place because of our dad playing at the end of the Ozzie & Harriet show and were inspired by that. That’s really kind of neat. PT: Absolutely! (Wayne) Well, I was a big fan of your dad. “Garden Party” is one of my all-time favorite songs. I remember seeing documentary footage of your dad and you and your twin brother were like in diapers walking around with guitars in your hands. GN: That’s true. We actually grew up during the second phase of our dad’s career when he was with the Stone Canyon Band and he was doing “Garden Party” and caught a lick with that. That’s the man I grew up with. 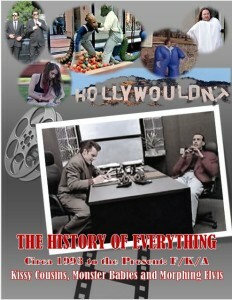 We grew up in the Hollywood Hills at the time when my father was putting his Stone Canyon Band together. 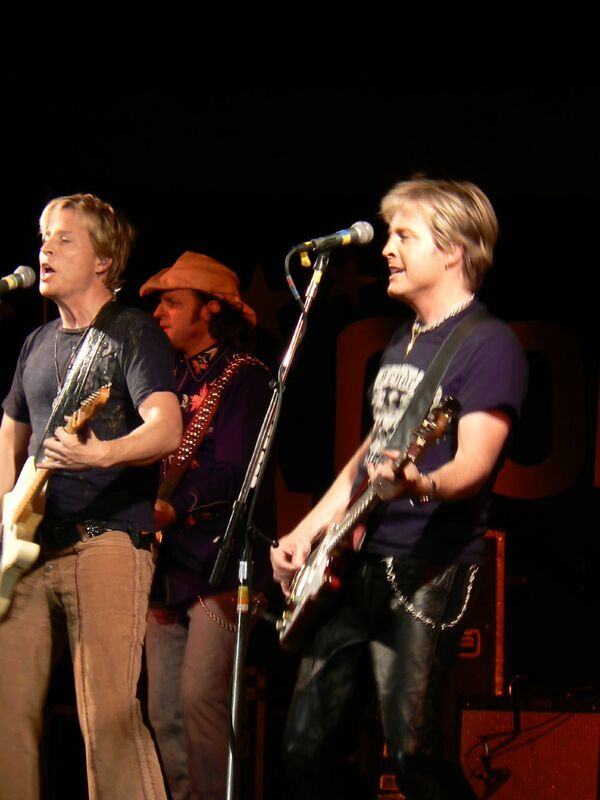 It wasn’t until we grew up and made our own mark in music that we decided to do the Ricky Nelson Show. And then it was after the fact – we had to go back to the drawing board and learn about his early music. PT: That must have been wild. GN: Yeah. We did it by sitting down and talking to guys who were actually there at the time like James Burton. When I was learning the guitar parts, it was great to sit down with James and ask, “Is this the right way to do this?” from the master himself which was pretty cool. So we always made sure that we approached this particular show with the respect that it was due. 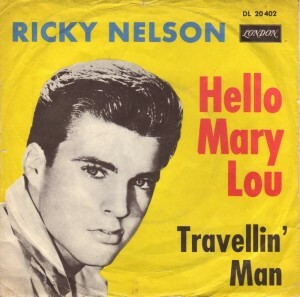 We were lucky enough to sell about 10,000,000 records of our own to kids who had no idea who Ricky Nelson was. With our band Nelson, the only people who seemed to be impressed when we released our stuff was the reviewers, the interviewers and the radio people who grew up with our dad’s music. But the kids we were making music for really had no idea. It’s funny having sold all of those records doing my own thing and then in a very real sense feeling like going back and learning all of that early music and seeing now what everybody was talking about – and all those people that started out playing because they had been listening to those early records and trying to learn those James Burton licks and being influenced by that early music. I became a convert as well. GN: While I always admired the Stone Canyon Band stuff and what my dad did as being one of the first true country rockers, but man, that early stuff was so competent and so good, so inspired and so different and unique from what Sam Phillips and his crew were doing out there in Memphis at Sun Records. Our dad with Eddie Cochran and Gene Vincent really represented the whole California sound and the whole California movement. All of his contemporaries and friends out at Sun loved what he was doing as well. But I love the fact that our father was making music back in the day with his father, Ozzie, in the Capitol Records Studio with basically relative autonomy. PT: Wow, that is incredible. GN: The fact that they had the biggest television show in the world at the time gave Oz the kind of freedom from meddling by well-meaning Capitol Records – at the time it was Imperial – but Oz could actually dictate just like he did with all of the other facets of Nelson family’s lives what they did and what their creative process was. Ozzie’s whole big thing was that no good art is made by committee. GN: After they filmed five days a week on the Ozzie & Harriet show they would go in, in seclusion, to the Capitol Records Studios and basically these were a bunch of people shooting from the hip. Rock and roll was brand new. There really weren’t any rules. And these guys out in California were just basically making records that they themselves would want to listen to. The songs were just amazing – “Travelin’ Man,” “Hello Mary Lou,” “Lonesome Town,” “Believe What You Say,” “I Got a Feeling,” “Fools Rush In” – which by the way was a Johnny Mercer song from Ozzie’s Hit Parade when he had a big band. GN: It’s an amazing legacy and we are really proud to be from that long line of people who were innovators. PT: That’s true. Without a doubt, you belong to a dynasty with such a rich musical heritage. (Wayne) I must confess that not only was I a big fan of your Dad’s from “Travelin’ Man” days to Stone Canyon days, but I was a big fan of yours as well. I was one of the kids you mentioned before who bought your albums and CDs. GN: Thanks, man! Cool! Way back when all men had long hair and Spandex was still a privilege and not a right! 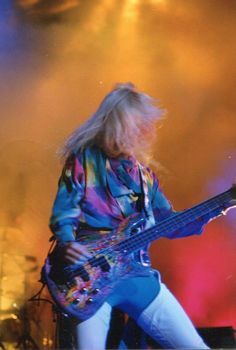 PT: (Laughs) (Wayne) I told my wife before the interview that I have this frozen tableau of you and your brother in a concert on TV in these Spandex glittery outfits with long blonde hair and jumping around the stage with electric guitars. GN: Unapologetically so, my friend. Unapologetically so! At the time our only competition at the time was on our own label and that was Guns N’ Roses. And we wanted to be the polar opposite of what they represented. They were a bunch of guys who visually looked like some Hollywood street urchins and that was their thing. But in hindsight, they came from a very different music sensibility. This was a hard blues band. They were playing 1, 4, 5 blues [progressions]. PT: Right. We’ve interviewed quite a number of blues musicians. GN: It’s awesome and it’s great stuff and I really like that stuff. But, in hindsight, it’s very easy to make a rock song sound tough if you’re playing 1, 4, 5 blues. It’s just easy. AC/DC, Aerosmith – there are some great bands out there that do that. But [my twin brother] Matthew and I grew up in Southern California. We were playing professionally in the LA Club scene since we were twelve. And this was back in the day of the skinny tie bands and they all had “The” in front of them. At twelve years old we were there sharing the stage with bands like The Knack and The Go-Go’s and all those LA bands of the day. Ten years before the whole Sunset Strip hairband thing was happening, Matt and I were a couple of kids doing it. Because of that Southern LA influence and because of the Stone Canyon Band rehearsing down the hall, we realized that unlike our contemporaries and our competition, we weren’t a blues-oriented band at all. We were a bunch of folkies. As a matter of fact, when Nelson first came out we wanted to be the heavy metal Hollies. That’s what we wanted to do. PT: You were different for sure. PT: We didn’t realize that. GN: I’m actually pretty proud of that. That’s what we grew up being influenced by. It’s funny, the more things change, the more they stay the same. Our dad was doing the same thing. There were different regional rock and roll things happening. New York had the Doo-woppers, Sun Records had the Memphis-oriented blues stuff they were doing and our dad was finding his way out in Southern California. We grew up with Mama Cass [Eliot] babysitting us. GN: George Harrison was our neighbor and Bob Dylan would come over to the house. And that whole California thing when we were kids was happening at the Troubadour – Jackson Browne, Linda Ronstadt, and what would later become The Eagles. That’s what we were influenced by. GN: When our music came out – you really didn’t know how to categorize it, but you knew that it was different and I’m okay with that. PT: (Wayne) “After the Rain” is still one of my favorites. GN: Thank you! I appreciate that! PT: Getting back to your family history, your Grandfather Ozzie was a visionary. “Travelin’ Man” was one of the first music videos. He took your dad singing the song and superimposed and flashed to images. GN: That’s true. Actually “Travelin’ Man” is credited by the Smithsonian as the first conceptual rock music video in history which is pretty cool. Rock and roll has not been around for a very long time. If you really think about it, in the course of human history it’s been a blink literally. And when these people were actually making those early records, I always wondered did those guys realize the impact, the magnitude of what they were doing at the time – or was it just a Thursday? GN: The story has it that Ozzie just basically was trying to find some other way of helping my father promote his current single at the time which was “Travelin’ Man.” His idea was putting a film’s travel theme superimposed behind our father singing and playing. Just that simple idea helped promote that song to number one, but lo and behold – man that was a pretty cool idea. But Ozzie was just using his chops as a film and television editor. It’s important to note that Ozzie was one of these Renaissance guys. They just don’t make them anymore. 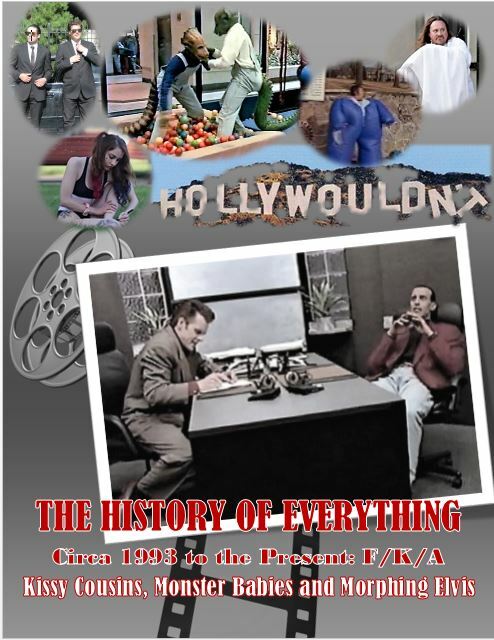 He wrote, produced, edited, directed, and starred in all 435 episodes of a show that he owned. GN: He had a law degree from Rutgers which was Ivy League and no one in Hollywood knew that. So he would kind of bumble his way into early Hollywood into these meetings, and they thought they was a hayseed and the next thing you know Ozzie walks out with the show being owned by him and no one knew what happened. That’s just who he was. So as an editor, he’s sitting in there thinking and comes up with this idea that is amazing in hindsight. But at the time to him that was just the way he rolled. PT: He was one of a kind. GN: Ozzie started out as a band leader long before he went to radio and television. Just like our father – and this is really important to note and it’s really the truth based on his actions – my father was not an actor who happened to play music. He truly was a rock and roller who happened to be a great actor. PT: We can see that. GN: Despite the fact that he grew up on the Ozzie & Harriet show and did a fine job in Rio Bravo with John Wayne and all that stuff was great, there was a time in his life when he had a concrete decision to make – where he could have gone down the arguably easier path of being a fine film actor or continue to be a television star; but he decided against that. Even in the middle of the singer-songwriter thing when everything was hostile, it would have been a far easier thing to one — rest on his laurels and go back on the oldies circuit forever; or two – have a life of set schedules, personal assistants, and deli trays and be a TV or film actor. But he decided to go on the road and be a rocker and he wound up living and dying for music. PT: Yes, your father definitely took the road less traveled. GN: Ozzie did the same thing. Ozzie led a big band back in his day and had a number one of his own with his big band back in 1935 with a song he wrote called “And Then Some.” Harriet Hilliard, his singer and later my grandmother Harriet Nelson, was basically the first female singer in any big band ever. She was the first chanteuse. And that was Ozzie’s idea as well. Ozzie never allowed the fact that he couldn’t read music to keep him from leading a fifteen-piece orchestra. PT: (Wayne) Or hereinafter invented. My law degree comes in handy as well! GN: (Laughs) Right! And that is now referred to as the “Ozzie Nelson clause.” He put that in the contracts and because of that and the fact that he negotiated only the radio show, that was how he was able to own the television show years later. GN: He was just an amazing guy. If you read Ozzie’s autobiography — it is really touching to me as his grandson and also as a fellow musician – it is really very apparent in his autobiography that much to his chagrin, the television show kept on getting picked up again. He started doing the television show because it was something to do in the off-season while he wasn’t touring with the big band. GN: He thought, “Great, I was [only] going to do this for the summer and then go back out and tour again.” But the show kept getting picked up and picked up. It was so heartbreaking to me because when I read his book, the only thing he wanted to do was to go out and play his music with his fellows and sing with Harriet. And he never got a chance to do that again. PT: And then your dad became a musician. GN: When our dad started to sing it was this wonderful rebirth for Oz – at least by proxy and to be a musician again by proxy through his son. And all of those early records were really created together in this magic vacuum where people were leaving them alone out there in California as I mentioned and not bothering them. My father always had this incredible talent for picking great songs and working with great musicians. He heard that Bob Luman’s band was actually looking for work because the Louisiana Hayride had been cancelled on television and he knew that he had a crack band. Sure enough, that’s how he found Joe Osborn and the great James Burton and Richie Frost. They went into the studio with Ozzie. This was back in the day when things were always done with two tracks and that was it. GN: So you basically had to have chops, man. When you went in [to record], there weren’t unlimited tracks to work with. And there really weren’t any do-overs where you had to do different takes. PT: It was an incredibly creative time back then when technology was so limited. GN: I lost twenty bucks one time with Tommy Vee – Bobby Vee’s kid – who was touring with us from time to time. I lost twenty bucks at a waffle house in the middle of nowhere one day when I got into a heated debate about how those early records had to have been made. 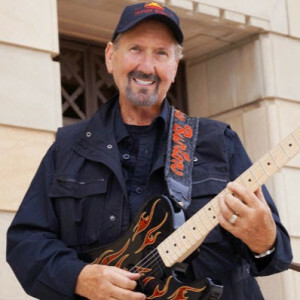 My contention was – as a guitar player – there was no way in the world, especially when you had only two tracks to work with and pretty much had to do things in one pass, that the boys didn’t have to actually work out all of the songs in great detail at Ozzie’s home in Hollywood before they went into the studio. The songs were so perfect and the arrangements were so perfect, I thought there was no way that these guys went into the studio and winged it. GN: In fact, he said he thought he had a better solo in another take for “Travelin’ Man,” but they used this one. All it made me want to do was go home immediately and practice. But that was how good James Burton, our father, and his band were. We refer to all of those guys as legends, but they really were that good. That’s how good you had to be. GN: Nowadays it’s sad to see that there are a lot of people calling themselves musicians, but they are really more of a “product” than [they are] artists. They would never have been able to make things happen for themselves back in the day when you really had to throw down. They are used to an era of auto tune and unlimited takes and just changing everything about their sound in post-production. That’s not the way it was back then. To be so profoundly inspired by those early artists who had the guts to take chances and the talent to pull it off. PT: (Wayne) You had mentioned Sam Phillips before. I think the same could be said of his crew, early Elvis, Johnny Cash, and Carl Lee Perkins. They came in, banged out the songs and it was amazing. GN: Sam’s business model was classic and no secret –find white guys who could sound like black guys and you had something to sell. You know, the thing that cannot be discounted is the fact that each one of Sam’s artists that he was working with – yeah, they were all rock and roll, but think about how different they all were. All of the legends were really very specific. You had Johnny Cash and no one could be Johnny Cash. And along comes Jerry Lee and that fabulous left hand of his and his attitude! And then there was the classic Elvis. PT: (Wayne) As I mentioned at the start of the interview, as a kid in the sixties and seventies, I was a huge Elvis fan. GN: You know what’s interesting is that a lot of people ask me who our father was influenced by and they just assume because of the similarities it was Elvis. As a matter of fact, it wasn’t. They actually became good friends – rivals – but really good friends later on in life. But actually our father would be the first guy to tell you that his number one influence was Carl Lee Perkins. GN: He felt that Carl had it all. He thought Carl was a great songwriter, a great singer, a great guitar player, and a great entertainer. He thought Carl was the real deal and had all of the pieces of the puzzle. And so our dad always wanted to emulate Carl. Despite just being on a date with some girl from Hollywood High and her just losing her mind when an Elvis Presley song came on over the car radio, and then him just saying off the cuff that he [Rick Nelson] was going to make a record, too, and her laughing at him which started his career – which is true. He always wanted to aspire to be the real deal and to be Carl Perkins. PT: Such a great story. GN: And he had never met Carl – his entire life – even through making all of those records until the year that he died. There was something going on that Sam Phillips put together at Sun Records out there in Memphis. And they did something that later became known as the Class of ’55. PT: Sounds like Million Dollar Quartet which we just saw for the third time. GN: And so he didn’t do that. But our dad was invited to this Class of ’55 reunion in Memphis. It was very late in the night – about two or three in the morning – it was your classic buffet type of party there and our dad was a very shy guy just in general. He wasn’t gregarious at all. He played the “I don’t mess around” boy, “I’m not a kid on the early years of the TV show,” but that really wasn’t who he was. He was a very soft spoken, humble man. I think that being around all those strangers was uncomfortable for him, so he went to the one place where he felt comfortable. He found himself there in the tracking room of Memphis recording at about three o’clock in the morning. He thought he was alone until he realized that someone was sitting in the chair behind him. And they were there back-to-back. Then he realized that it was Carl Perkins. GN: It was his first meeting. He turns around and he looks at Carl and the first thing that Carl says to him was, “Well Ricky, looks like we’re the last two rockabillies left.” That’s why in the last year of our father’s life he added the “y” unto his name. He said you know what, if Ricky is good enough for Carl, it’s good enough for me. PT: That is such a great story. 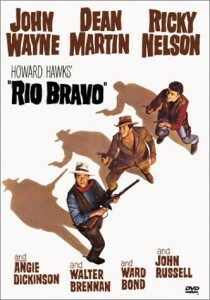 (Wayne) We mentioned Rio Bravo before. 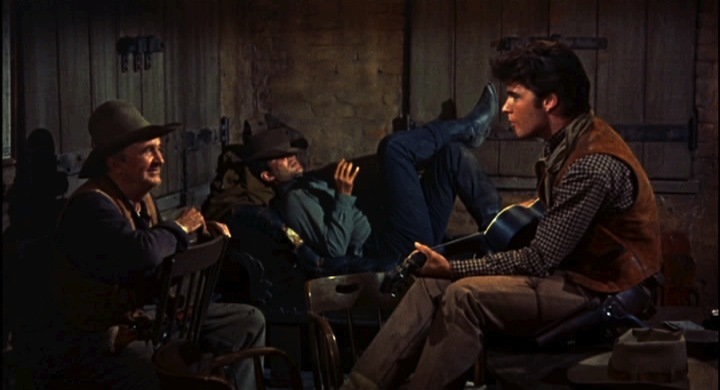 And Rio Bravo is not just a great, classic western, but your father performed on screen a duet with Dean Martin and they killed it. GN: Yes. Angie Dickinson who I actually got to see about a week ago in Chicago. We got to hang out and she is just so lovely – she takes my breath away. What an amazing woman she is. PT: (Wayne) I know it well. 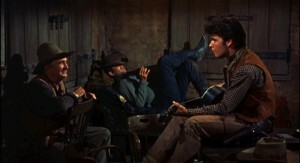 GN: It was a song that Howard Hawks, the director found, and insisted that my father sing. What people don’t know was that our father was at the Hollywood Roosevelt Hotel the night before he was to leave for Old Tucson the next day and film. It was the first time he ever met Johnny Cash. It was a wonderful meeting. At the time Johnny Rio Bravo was not having a good time in life. It was one of those periods where he was struggling. They got into a conversation and they started talking about the movie our father was going to film. My dad was all animated about the fact that he got to play a pistolier and all of that stuff. He described his character and said he was going to get to sing a song in the middle of the movie. He said he wasn’t crazy about the song that the director insisted that he sing. And Johnny asked, “Would you mind if I wrote a song for the movie?” And my dad said, “Well I think it’s set in stone, it’s part of the contract and I have to sing that song.” So they dropped the conversation, enjoyed the rest of the night, had a fun time, and said their good-byes. My father went home. It was late at night. A couple of hours later when he was going to leave in the morning to fly to Old Tucson, our dad was backing out of the driveway – it was about six o’clock, four hours later – and he noticed that there was something out of the mailbox at 1822 Camino Palmero – the Ozzie and Harriet house. He went up and looked in the mailbox. Apparently, Johnny Cash had gone home from the Hollywood Roosevelt to his apartment and he had written a song called “Restless Kid” in the three hours after my father left and he had put the song in our father’s mailbox. GN: It wasn’t recorded for the movie. And it was never released until our family did a box set with Capitol and we found the only surviving recording of the Johnny Cash written song called “Restless Kid.” So it’s out there in the ether and you should check it out and your readers and followers should search it. It’s called “Restless Kid” by Ricky Nelson. 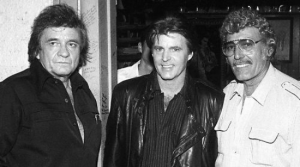 That was the Johnny Cash-Ricky Nelson collaboration that should have happened but didn’t. PT: We will definitely look into it. Let’s talk about you guys now. When did you and your brother realize that music was the way to go and learned to play music? GN: My first conscious memory was watching my father play at the Good Time Theater at the Knott’s Berry Farm in California. My mom and I pieced it together and I was just shy of two years old. That was my first conscious memory of sitting on an apple crate at the side of the stage watching my father out there on stage, singing. He was having a great time and the audience was having a great time. And I remember making a connection – my first real memory of I want to do that. That’s what I want to do. So for me – excuse the pun but it’s true – it was all relative. It was my normal being around our father at that time putting the Stone Canyon Band together. It was a very creative time for us. We had famous hippies coming over all the time. And that’s just kind of what I grew up with. So the social proof that I had that making music for a living and achieving it at the highest levels was absolutely possible because it was going around me all of the time. PT: So logical. And such incredible influences. GN: That was just my normal. I didn’t realize that everybody’s father wasn’t a rock star until I was about five. I didn’t realize that not everybody’s grandparents had people coming up asking for autographs at dinner. It was just kind of one of those things. It was just what the family did. We never let it go to our head. It was what we were all about. PT: When did you start to play? GN: I remember bothering my father to get me a drum set. I was kind of enamored by the drums. I would always jump on his drummer Pat Shanahan’s drum set when they were rehearsing the Stone Canyon Band in the pool house. It was annoying to our father’s drummer. So finally when I was six years old he went down to the pawn shop and got me some Korean built red sparkly drum set and then set that up in the hayloft in the barn – about fifty yards away from the house so I wouldn’t bother anybody. GN: And my brother got his bass shortly after and we started playing along to records as a rhythm section. A lot of kids would probably lose interest in that. We just never did. We were addicted to it. We couldn’t wait to get home from school and run out to the hayloft and jam. From the time we were six years old that’s what we were doing. Our dad would go on the road and he’d come back and we were still at it. We kept getting better and better. PT: When did you turn pro? GN: We had our first recording session when we were twelve years old. And that same year we started to play clubs professionally. We got up to about five nights a week doing that. We had to be driven to our gigs and escorted in because we were under age of course. We’d play our little sets and then we were escorted out of the club. Fortunately we had support to do that. When kids later on start playing instruments – most of the kids started playing when they were fourteen or fifteen – we’d already been at it for years and years. We were playing senior productions and plays at our sister’s college when we were twelve. So we cut our teeth in the LA clubs when that scene was really vital. All of the bands were trying to make their mark. Everybody was trying to sound different. No one wanted to follow another band’s sound. We really wanted to stand out. What I try to explain to a lot of my now-contemporaries who did the whole Sunset Strip hairbands ten years later and thought they were tough – they don’t understand that the bands I was playing with as a kid, all the people in those bands were addicted to smack and they would all shank you if you went five minutes over on your set. They’d sabotage your equipment. It was really rough and competitive. PT: That sounds incredibly awful. GN: Yes, but it really prepared us for what we would encounter later on. So if we had any critics or anybody that took any shots at us – we said, “Look you have no idea what we’ve been through.” We prepared ourselves with going through trial by fire. PN: What were some of the differences in the venues you played? GN: We weren’t really ready for the size of the crowds. There is a big difference between playing clubs five nights a week and playing the Universal Amphitheatre a week later. It’s pretty harrowing. I don’t think there’s any substitute for lugging your own equipment, booking your own gigs, and competing with all these other bands to get a prime night. Of course, writing your own songs [is a plus]. When other kids were doing cover songs, we started off right out of the box writing our own music. Fortunately over time and repetition it seemed to get catchier and we became more adept at doing the writing thing. PT: Did your dad offer any advice? GN: Very few words of advice were given to us by our dad. But two things he did say. He said, “Believe in what you’re doing and keep doing it,” and I suppose that’s really about conviction and perseverance. The other thing he said was, “Look guys, learn from my career or careers.” He said, “When I started out it was pretty normal for people like me to pick songs that other professional songwriters had written and we’d translate them. There were some notable exceptions. Like my friend Elvis never wrote a song either and that’s what I started out doing. But I had to go all the way back to the drawing board and unlearn everything that I learned before and learn how to be a writer when the singer/songwriter thing came into vogue and the Beatles invaded America and Dylan was out there.” And that’s what he did with the Stone Canyon Band. So he said, “If you’re going to do this, you’ll save yourself a lot of time because you realize that any artist can go pretty much to any small town and find somebody that looks better than them, plays better than them, and sings better than them. But what will make them stand out and catch fire is that they write a song that connects with people. They will be indelibly linked with those people that connect with that song for the rest of their careers. So learn first and foremost to be songwriters and follow that.” And that was actually the best advice he gave us and it’s always been our truest joy. So when an album like After the Rain connected with people in 1990, the thing I was most proud of – and I’m sure our father would have been most proud of – was that we wrote that our own number one song, we wrote that album and did it all ourselves. PT: Your dad had so many hits. GN: Yes, but he was never able to write his own number one song. “Garden Party” went to number three – that was an unbelievable accomplishment. But his early number ones were written by other people. But our father’s advice has certainly been a true north in our compass since we were little kids actually making music for the first time. We would always say we are writers first and performers second. PT: That’s good advice. Interesting. What advice would you give young people today coming up in the music business? GN: Man, that’s really a tough question to answer and a loaded one, too. GN: Our industry right now is experiencing such an enormous paradigm shift. I’m not talking about on the creative side of things. I’m talking about on the business side of things. You’re talking about a business that has been demonetized. I have three gorgeous daughters, a 10-year-old, a 12-year-old and a 16-year-old, and all three of them do not remember a time when music was paid for – when music was actually purchased. And that is just the reality of our industry right now. Twenty years ago we would have given away the shows for free and we did it in order to sell records. GN: And now we are giving the records away for free as commercials to see tickets to the shows. In a very real sense we’ve kind of returned back to the way it was when my father was making music back in those early days. It seemed all of the people who were involved in the executive side of the recording business and industry were all crooks and thieves. They were profiteers after WWII. They were good at cooking the books and making them seem different from what they really were. There are so many stories of legendary artists who died in abject poverty because the businessmen took advantage of. But the one thing they couldn’t take advantage of were the people who wrote and also performed. And it was going and doing those shows that actually put the food on the table for their families and sent their kids to college and all of that. But you had to be present to win. That’s the one downside. GN: Yes. We are pretty much back to that right now. Back to the age of those early contracts that were pennies on the dollar (if even) and then you’d still have to see your label to get your royalties. Royalties have really dried up. Artists have to show up and do their shows. But that’s a wonderful thing if you think about it. Because as an artist who also writes, I can write my own script, unlike an actor who has to recite what other people’s idea of what they’re all about. I actually get to show people and tell people my own life experiences and what I’m about by the songs I write. And then the added bonus is, I get to see the look on people’s faces when I’m singing those songs to them live and they’re mouthing the words back to the songs I’ve written. It’s the greatest joy in the world. It’s the same kind of instant connection with a live audience that addicted our father in the first place. Now I know what he felt like. He always said as an actor, it’s tough. You go and recite your lines and lines other people have written and on top of that you don’t get to really know what people’s reactions are because it’s got to go through post and be marketed. But when you are doing a live show it’s instant. GN: You get to know right away if something is working or if it’s not. He always felt, as do I, that that is what art is supposed to be. You’re supposed to be able to move people and connect with people. It’s supposed to be a personal experience for the audience. It’s kind of like going to a great restaurant and having the meal of your life fixed for you. You get to enjoy [eating it] – and there’s no way that anything written about the meal or any criticism written about it is truly going to give somebody the experience that they would have by actually being there and tasting that food for themselves. To me, that’s the definition of true art. PT: Wow, that’s a great analogy! GN: Hearing a song live – it’s like you’ve been there for a moment – a moment of magic and then it’s gone. But that is what life is all about. GN: Back to the answer to your question. What I would tell somebody who is coming up? I would say this. I would say, “Resist the temptation to take the easy road.” It’s my advice for life and it’s my advice for the industry. There is no such thing as a free ride. There’s no such thing as a short cut. If you only want fifteen minutes of fame, you can do that. All you have to do is light yourself on fire just like Daffy Duck did in the famous Bugs Bunny cartoon. The problem is you can only do that show one time. PT: That is fabulous advice. GN: If I look back in history I could see bands that were able to merge the two worlds of commerce and art in one. The Beatles are a great example of that. Of course, there were Beatles lunch boxes and A Hard Day’s Night and all that stuff, but you know what? Backing all that up you had the best band in the world and the best writers in the world. GN: For me, that’s what I aspire to be. I want to be the real deal. And I’m not naïve enough to say that there aren’t legions of kids out there right now who for them, that’s not important. PT: It’s so true about how the paradigm of the industry has changed where there are a few artists like Taylor Swift that can still make money selling CDs at Walmart and Target, but, for the most part, the whole commercial scheme of the industry has been eviscerated. GN: Because to me they’re connected. If I got into this line of work to be content and be a product and sell a product, I will say there are far easier ways to earn a living than choosing this lifestyle. Rick Nelson wound up living and dying for rock and roll. What he got paid for was not his time on stage. What I get paid for is not my time on stage. I get paid for missing out on the graduation ceremonies with my daughters, missing the soccer games, the birthdays, the anniversaries – playing when you’re sick, when you’re hurt, eating bad food, not sleeping in my own bed, not kissing my wife goodnight. PT: We never looked at it that way. GN: There are only two things that are more important to me than that – and they were the same for my father – and that’s the music and the fans and that’s the simplest answer. PT: This has been such a great interview. We can talk shop with you all day long, but we know you have to pick up your dog from the vet. GN: (Laughs) Yes, if I still want to stay married I do! PT: We ask everyone the same final question – it has become our signature one. If you were to sum up your life and career in one word – what would it be? GN: My life and career in one word…one word? GN: Hmmm. Awesome! [pause] Actually, can I use a hyphenate? And can it be R-rated? PT: (Stephanie) (Laughs) I edit everything so we can make it whatever you want! PT: (Laughs) This was indeed a f***ing awesome interview! Thank you so much! 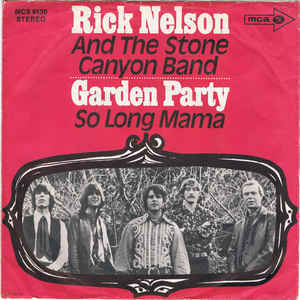 (Wayne) as we hung up and I thought about Gunnar’s philosophy about not being a product and his view about what music has meant for him, I thought of Rick Nelson’s line in “Garden Party” – “If memories were all I sang, I’d rather drive a truck.” Like father, like son.